Details at the end of this post on how to enter to win either a print or kindle copy of Seacliff High: The Shadow, and a link to purchase it from Amazon. We also have a short interview with Kathi. Yes, Alyson arrived in Cutter’s Cove nine months ago and in dramatic fashion she discovered she can see ghosts. So, she, Mac, another BFF Trevor, and retired librarian, Booker, set off to research deaths in the area, but they discover unusual events dating back to 1892 and a quick-to-judgment murder in 1867. This is not good, Alyson’s voices and apparitions along with the discovery of secrets could mean in a few days…another death at Dead Man’s Bluff! Alison attends Cutter’s Cove High School with all the typical cliques, gossipers, jocks, mean girls and teenage angst. Along with dealing with her recent ghostly visions and post Civil War murder mystery, she discovers a horrific secret about a classmate…well, no secret is safe in high school, so of course, everyone knows. However, the idea a classmate may have been drugged and assaulted is something Alyson will not let go. Everything may converge in Cutter’s Cove, but who will survive? 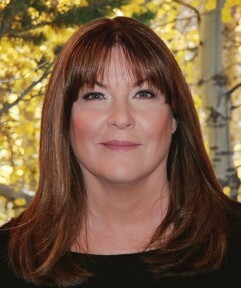 I am not new to Kathi Daley’s work…I tout myself as a big, big fan! However, I am new to this Seacliff High series, so this sixth book turned out to be the perfect introduction: Witness Protection identity? Moving to the Oregon coast? Being able to see ghosts? Who knew high school drama could be so…deadly? Fans of the series have to be absolutely thrilled having waited over a year for this new installment, and as a newbie, I didn’t feel left out of the back story and character connections having not read the previous five books…although I am very excited to do so. Don’t make my mistake and shy away from this series because the characters are highschoolers. It is well written, engaging and the characters, although young, are well developed and do not act overly childish. The mystery cleverly weaves events from the past into Alyson’s contemporary problems, and her ability to see ghosts is not juvenile hocus-pocus. I highly recommend the book, then spent the summer reading the rest of the series from the beginning! Seacliff High: The Shadow earns 5/5 Mysterious Apparitions! Kathleen: Do you find challenges writing a paranormal theme? Kathi: Actually paranormal is all about possibilities, so it is actually one of the easier sub-genres to write. I’ve found that developing stories within this genre is really only limited by your imagination. Kathleen: What research or influences did you rely on to write about one having sixth sense or seeing ghosts? Kathi: I actually didn’t do any research for this unless you count watching movies and television shows featuring ghosts which I do tend to embrace around Halloween. Kathleen: Is there a reason you chose a young teenager as your heroine? Kathi: I write six series with protagonists of all ages and thought it would be fun to take a step back in time and revisit my high school days. I really enjoy writing the scenes that take place at Seacliff High, and I love the best friend dynamic that so many of us had during this often times tumultuous time in our lives. Kathleen: Do you have a favorite paranormal story, movie, or television show from your childhood or currently as an adult? Kathi: I love The Hollow which is a made for TV Halloween themed movie and of course I adore the old classics such as the Canterville Ghost and High Spirits. I also watched every episode of Charmed, Buffy the Vampire Slayer, and, of course, The Ghost and Mrs. Muir. Kathleen: Have you had any experience with ghosts? Kathi: Actual experience no, but I would love to visit a haunted castle one day. To enter to win either a print or kindle copy of Seacliff High: The Shadow, simply email KRL at krlcontests@gmail[dot]com by replacing the [dot] with a period, and with the subject line “seacliff,” or comment on this article. A winner will be chosen July 8, 2017. U.S. residents only for the print copy. If entering via email please include your mailing address, and if via comment please include your email address. PLEASE STATE IN ENTRY WHETHER YOU WANT PRINT OR KINDLE. I have enjoyed everyone of the books in this series that I’ve read. Kathi’s descriptive writing and well developed characters remind me of the early Nancy Drew books. This series of Kathi’s has me intrigued. I’ve always enjoyed the older kid age Nancy Drew series, sometimes it’s fun to read books for kids even when you’re not one. Thanks for the giveaway, if I would win, Kindle version would be fine. I love Kathi Daley! This book looks very cool! Loved the article/interview too ? I love all of Kathi Daley’s books. Thanks to the chance to win. I would like a print copy! Great backgound on the series and good interview. I am also new to this series but not to Kathi Daley other series. Thanks for the chance to win. I rather have a physical book. Would love to win. I love all of Kathi’s series. I love Kathi’s books, but haven’t read any in this series. If my name is chosen, I prefer print books. Love Kathi’s books!! I read all 6 series. Love Kathi Daley’s books, Thanked for your generosity. My kind of book, seeing ghosts cool. I want to read the while series. Whole series I want to read them all. I have the first two books in this series and enjoyed them all. Thanks! 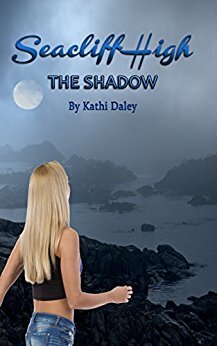 I love all of Kathi Daley’s books. I enjoy reading them and the stories!! Thanks to the chance to win. I would like a print copy! Have not read Seacliff series yet but totally love all of Kathi Daley’s books. Thank you for the chance to read your books. Great interview! I love Kathi’s different series, especially Whales and Tails. That’s where I got introduced to the Seacliff High books, in a crossover. I liked it so much, I bought the whole SH series and read them in two days! I have all the ebooks, so I’d love a print copy of SH: The Shadow. email is jgeiger1955@gmail.com. Thanks for the chance. Haven’t started this series, yet. I have the first 5 books. I love the Seacliff series. This is one of the best ones I ever read. I can’t wait for the next book in the series to come out. This series is worth 5 stars and more. So far I love all of Kathi Daley’s Cozy mystery series. I enjoy Kathi Daley’s books. This is a new series to me, would like to read. I love all of Kathy’s book that I’ve had the pleasure to read. I haven’t read them all yet, but working toward that end. I would prefer to have a print book, it would stay in my library forever.